The province of Apayao was among those in the path of Super Typhoon Ompong (or Mangkhut) last September 15, 2018. Among those severely affected is the Municipality of Kabugao, Apayao. About 8,000 people belonging to at least 1,000 families had their agricultural crops and homes damaged by Ompong. 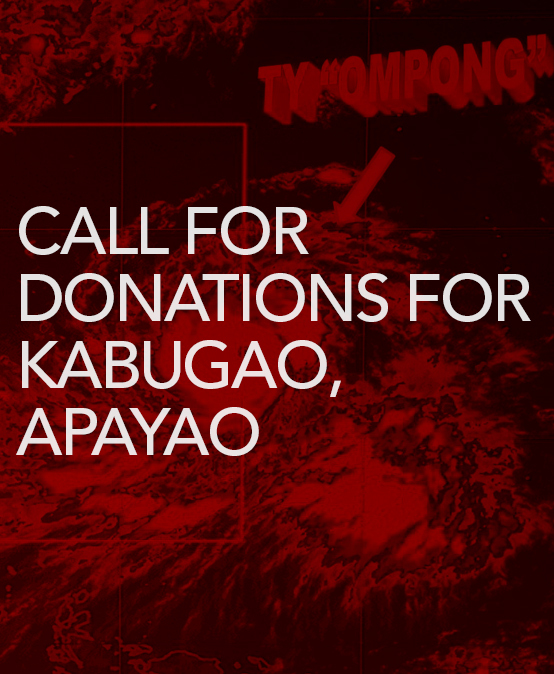 Silliman University is making a call for donations, preferably in cash, so that we can help rebuild the homes and means of livelihood of the people of Kabugao, through our alumni and friends working in the community. Dr. Juan Q. Bartolo, Jr., HS 54, Associate of Arts 57, a recipient of the Outstanding Sillimanian Award in 2007 for Community Health Service, and Dr. Pj Bartolo-Ukkong (HS 83), the Community Health Officer of Kabugao, are among the Silliman alumni serving the people who are mostly of the Isneg tribe.Silliman will work with an organization in or near Kabugao to fund the most urgent needs of the Ompong victims. We call on our alumni and friends for support.We welcome any amount you can spare and contribute to the fund we are collecting for Kabugao. Donations may be made directly to Silliman University (payee) via any of the banks listed below. For us to trace donations deposited in any of these banks, please observe the following: (1) send through email a PDF of the validated deposit slip to [email protected], cc to [email protected]; (2) write “Continuing Calamity Response Program Donation”; and (3) indicate in the e mail (a) the purpose of the deposit, (b) full name of the donor, and (c) address and contact number of the donor. Through the Office of the Vice President for Development, the University will issue official receipts to our donors. A report will be released to the public on updates on the utilization of the donated funds under this Program. Please let us know how we may further facilitate your engagement in the “Continuing Calamity Response Program” of Silliman. Feel free to e-mail us at [email protected], or call us at + 63 35 422 6002 local 223/224. You may also get in touch with Mr. Ruben Bokingo, the Director for Alumni and External Affairs, at [email protected] or [email protected] or call local 290. The spirit of service at Silliman lives on.